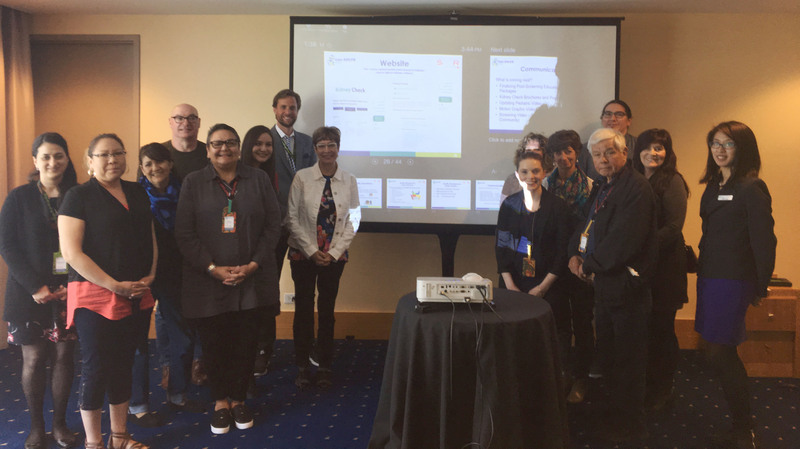 During Can-SOLVE CKD’s 2018 annual meeting in Vancouver this past May, the Kidney Check team – which includes Can-SOLVE CKD patient partners – got together to talk about Kidney Check project progress. The different provinces are developing plans for rolling out kidney health checks in to-be-determined communities while Winnipeg’s team is finalizing the technology, materials and protocols. Patient partners have been providing feedback and guidance along the way and we expect a lot of this planning to be put into action during this last half of 2018. More details coming soon!